Some time last year, someone at Fear the Boot had the idea to publish an anthology of short fiction written by members of the Fear the Boot Writer’s Guild and other genre authors (by invitation). I wrote up a pitch, and my story Forgotten Dreams was accepted and published this month in Sojourn: An Anthology of Speculative Fiction. This is not news, as I have spoken about it before. A few days ago, I decided to do a series of interviews with the authors and editors of this anthology to give more insight into the creative process and the anthology itself. 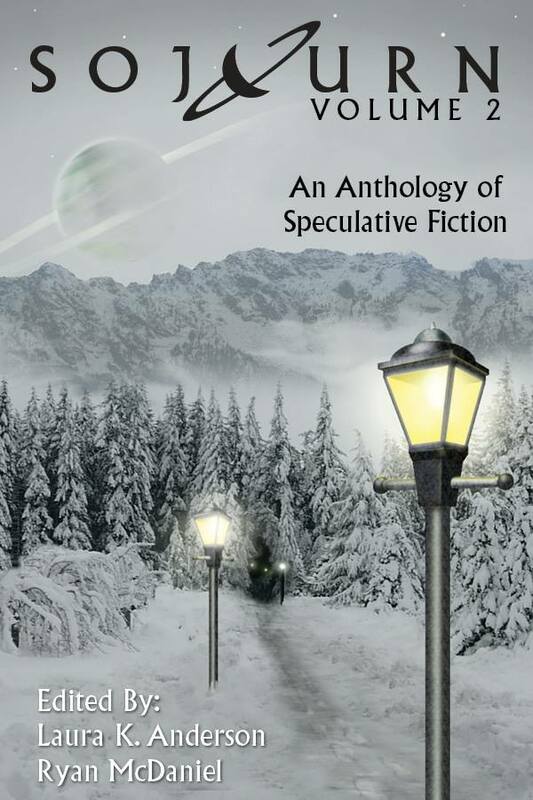 So, every Friday from now until it is done, I will publish new interview with the authors and editors of Sojourn – An Anthology of Speculative Fiction. After coming off two fairly hard sci-fi novels (the Zack Jackson novels), I wanted to do something more space opera-y, something with more ships zipping around, pew-pew-pew, space magic, and everything running on Rule of Cool. The words “Seven Galaxies” popped into my head at some point and I thought “Well, what if the universe these characters inhabit is just these seven galaxies?” The void in between the galaxies would be their version of Hell, a vast realm of absolutely nothing where all the unknowable, unfathomable…things…lurk, but the galaxies themselves would be teeming with life. The galaxies are connected by conduits, call them warp gates, star gates, whatever. I’d often thought about a sci-fi universe where humans were not dominant, and I played with that a little bit with the Zack Jackson series in which the humans are relative newcomers to the greater galactic community; but in my Seven Galaxies stories, I decided they would be a completely subjugated slave race, considered little more than vermin by the dominant species. Once I had that and decided to have a human viewpoint character, well, the number of stories I could tell increased tremendously. In short: yes. I invented the Seven Galaxies setting for a novel. Writing short stories in that setting allows me to explore various parts of the setting and try out certain concepts before I start writing the novels. I’ve been a member (albeit a relatively silent member) of the Fear the Boot community for a few years now, and Laura Anderson edited a few of my novels for me, so when this opportunity came along, I thought it would be a good way to work on a few short stories. Most of the time, I feel that if I’m working on a short story, it’s time I’m NOT working on a novel. However, if I’m working on a short story for a publisher, my brain is fooled into thinking it’s OK. Which, of course, it is, but sometimes you have to do mental gymnastics to justify things you want to do. Being able to combine fantasy and sci-fi and not having to worry about scientific accuracy was great fun. Even though my story was much darker than anything I’d written up to that point, I had a lot of fun being creative with the aliens and their descriptions. I’m not sure I learned anything new, per se, but writing “Forgotten Dreams” honed skills I was already working on. I don’t have a lot of experience with short stories, and it was challenging to include a character arc and a start-to-finish plot in such a small number of words. I was going to have Jahni’s big crisis be whether or not seeking her freedom was worth becoming an assassin. I had a cool gun described and everything (I think I have a picture of it somewhere). Her target was going to be the Aelfar friend with whom she started out. In the end, I didn’t believe in that story and couldn’t make it work in the short amount of space I had. I decided the best thing I could do for the story was not to have an action-packed shoot ’em up climax. It was harder to write, and ultimately, more rewarding. Spelljammer. Magic, and sailing ships in space? Yeah! Although, I don’t have sailing ships in space…yet. The only ship we see is more of a big crystal, but I was definitely influenced by my love of Spelljammer as I developed the Seven Galaxies setting. It will probably be more obvious in the novels than in the short stories. The next Seven Galaxies story I’m writing features the Pleasure Pools of Persiphia, a location to which I alluded in “Forgotten Dreams.” There will be all new characters, but I promise you haven’t seen the last of Jahni and Rana. I have plans for the series and for those characters. I promised myself I would write another World of Calliome fantasy novel before I do a Seven Galaxies novel, though, so I’m building up to it.